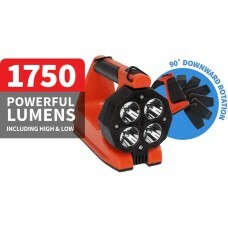 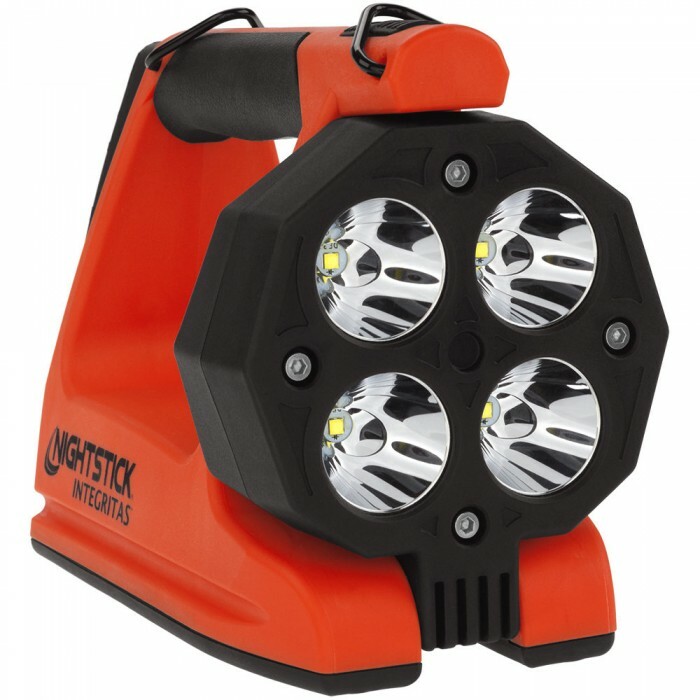 The INTEGRITAS™ Intrinsically Safe Rechargeable Lantern offering a Powerful 1750 Lumens and 90º Downward Rotation. 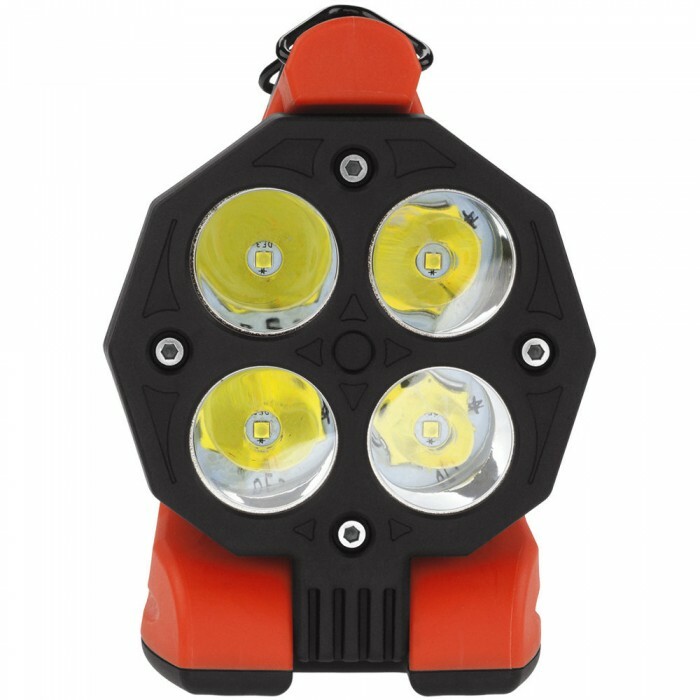 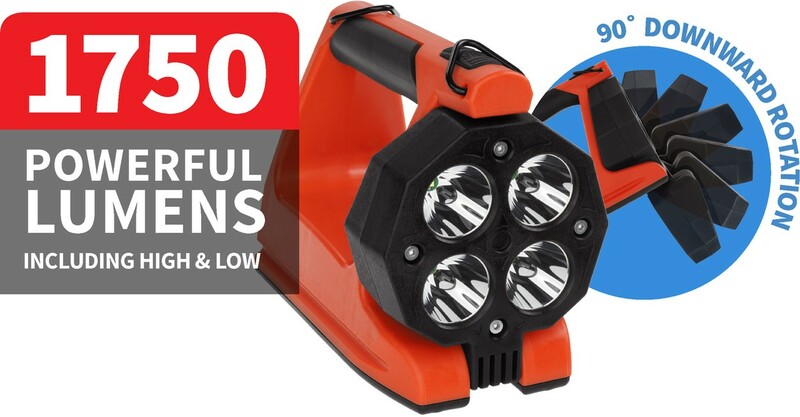 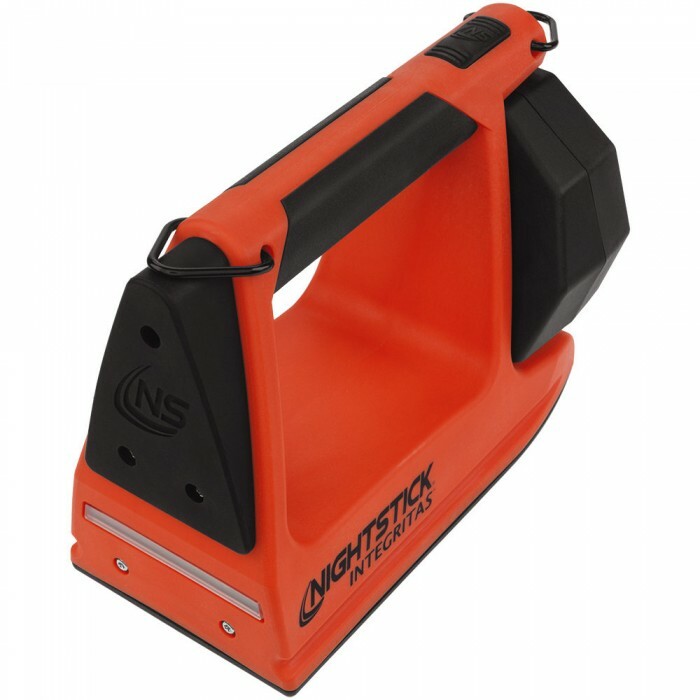 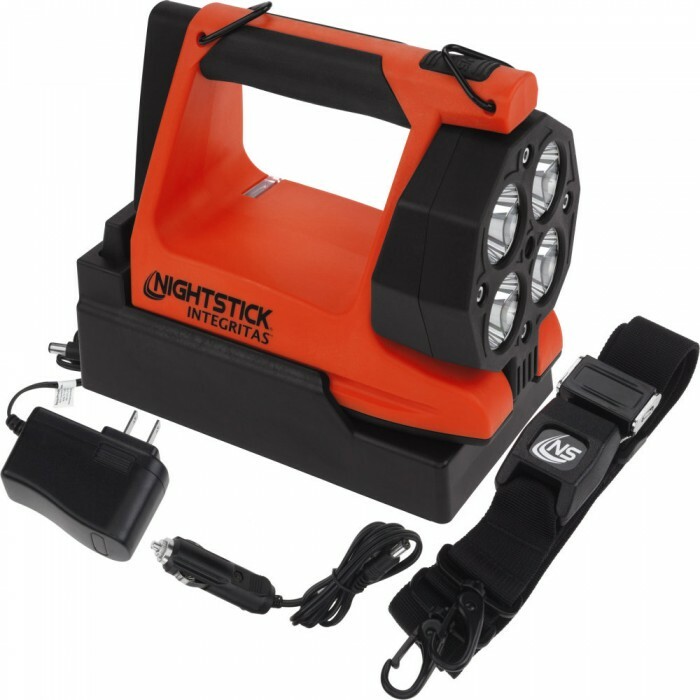 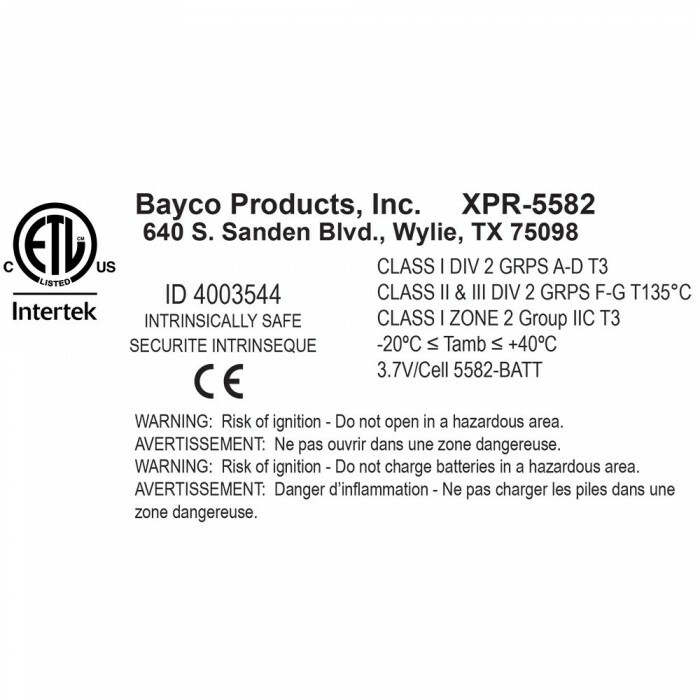 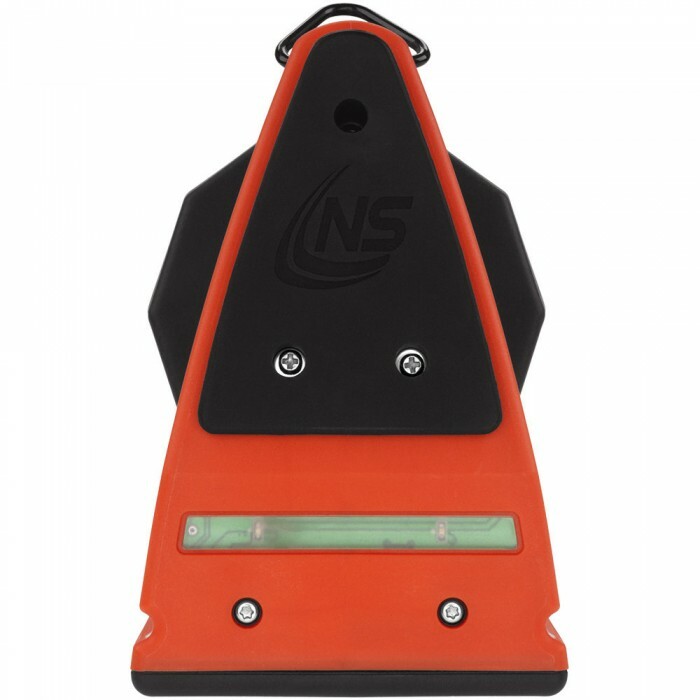 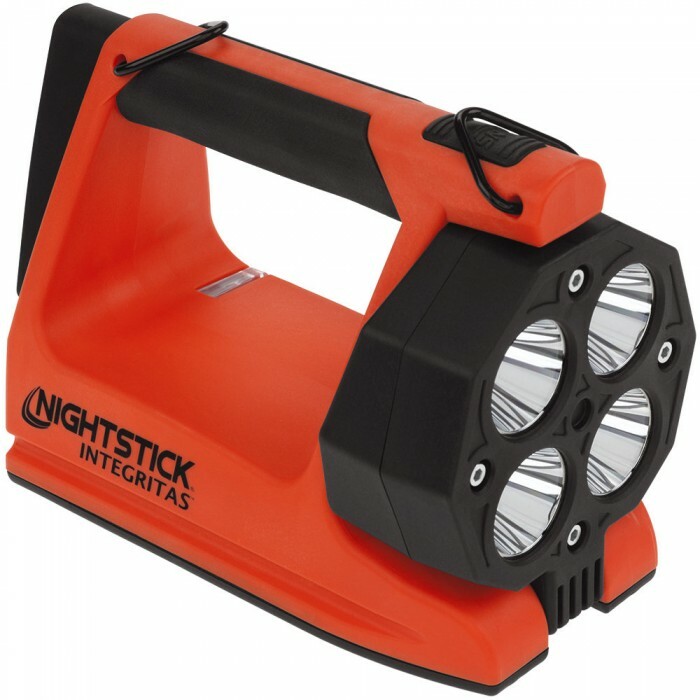 The INTEGRITAS™ is an Intrinsically Safe Rechargeable Lantern. 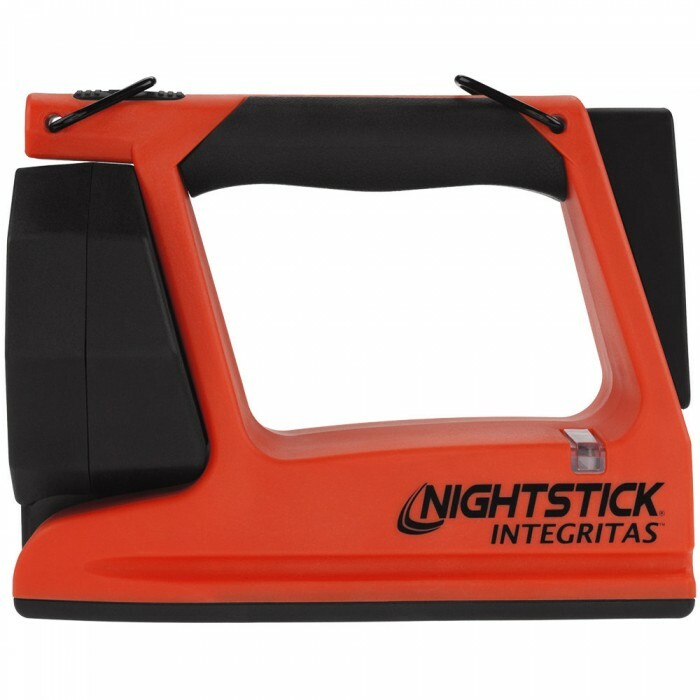 The INTEGRITAS™ lantern rotates 90 degrees downward. 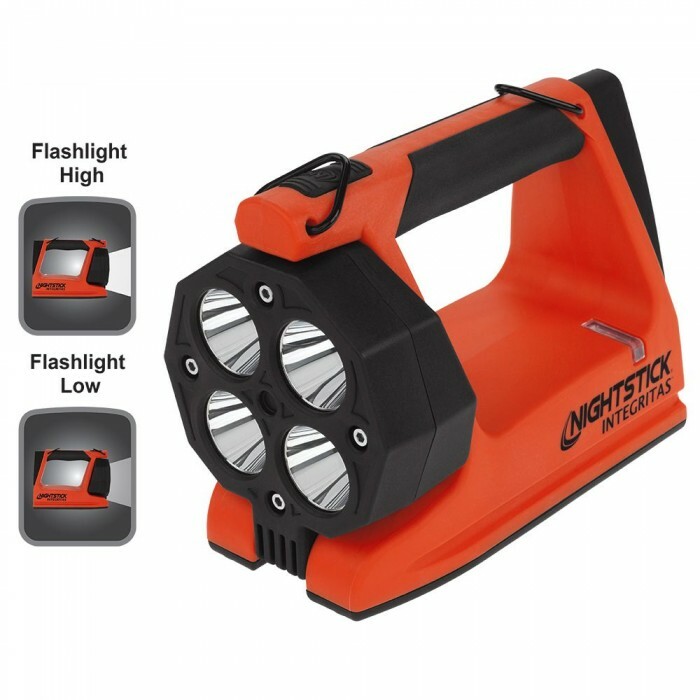 The flashlight setting offers user-selectable brightness settings of either 1750 or 600 Lumens with a 552 meter beam distance on high (1750 Lumens).The INTEGRITAS™ feature rear green safety lights which provide visibility in smoke filled rooms. 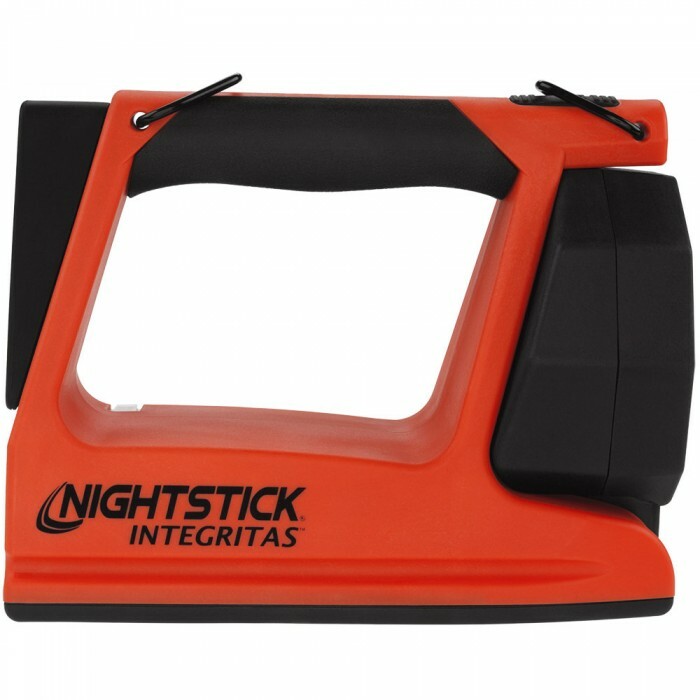 Included is a carry strap with seat belt style buckle for additional hands-free use. 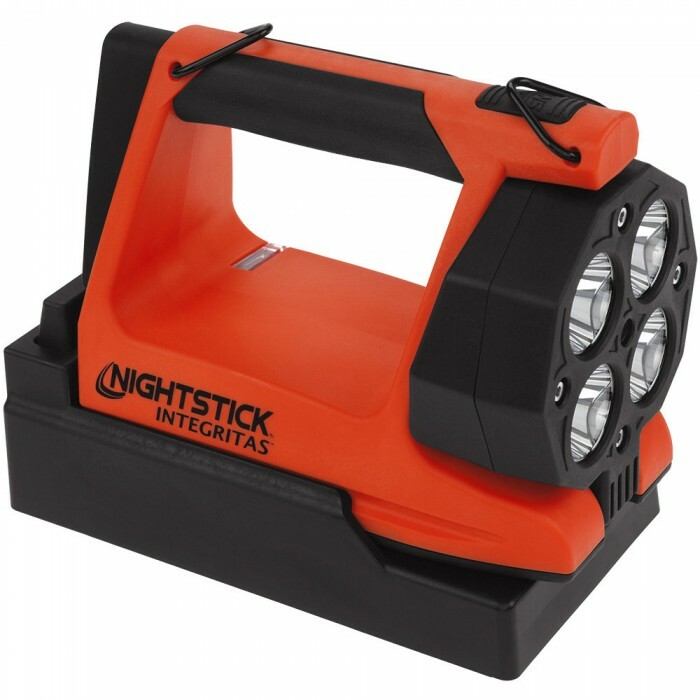 The INTEGRITAS™ is powered by a rechargeable Lithium-ion battery pack and includes a snap-in charger which can be charged by either AC & DC. 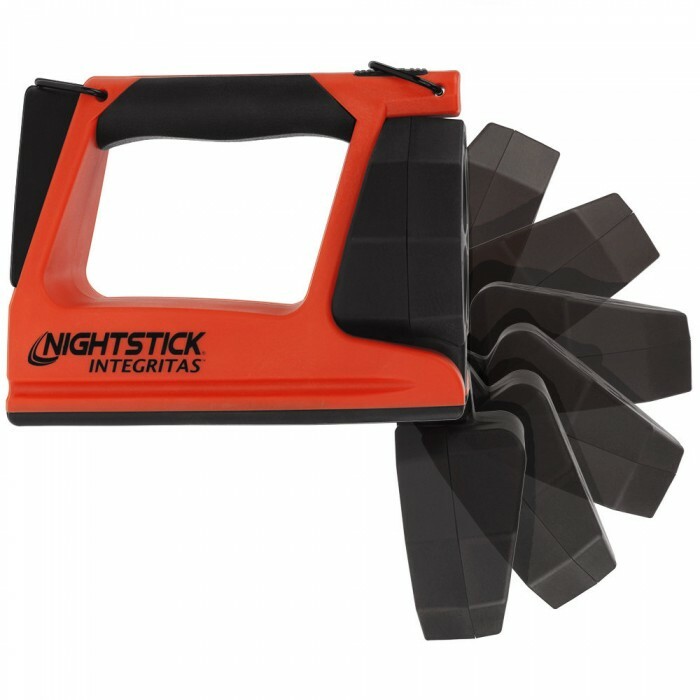 The INTEGRITAS™ is IP-67 Dustproof & Waterproof and meets requirements of NFPA-1971-8.6 (2013). 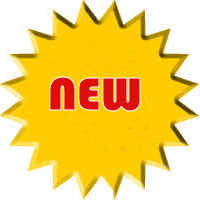 Runtime: 5 / 11 hrs.